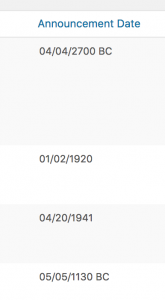 With the Timeline Express – BC/AD Dates Add-On you can convert existing announcements into BC dates (eg: 02/04/156 BC) or create new announcements and set them as BC dates. On the timeline itself, your BC dates will display first followed by all of your AD dates in chronological order. 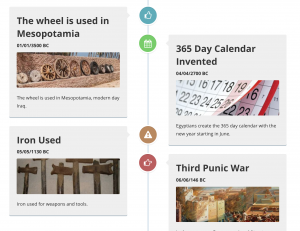 This add-on is great for historic dates running back before the year 0. 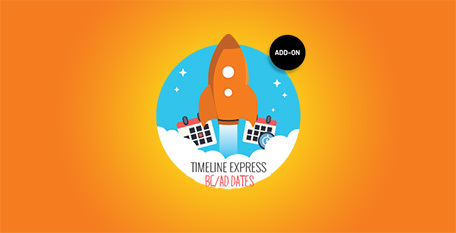 Grab the Timeline Express – BC/AD Dates Add-On and start building amazingly detailed timelines that expand a wide range of dates, all while looking good.